I was getting married and had some fun designing letterpress invitations, a custom stamp for a reception card, and a one-page website for RSVPs. Throughout the process I kept handmade elements, Parisian influence, and romance top-of-mind. I started with a wedding icon. It's based on a Japanese custom called "ai ai gasa" (which means "love love umbrella") in which a boy or girl writes their kanji (or initials) under an umbrella to signify shared love—much like what Americans do with initials inside a heart. Because we were going to honeymoon in France, I illustrated the umbrella as a Parisian pagoda. 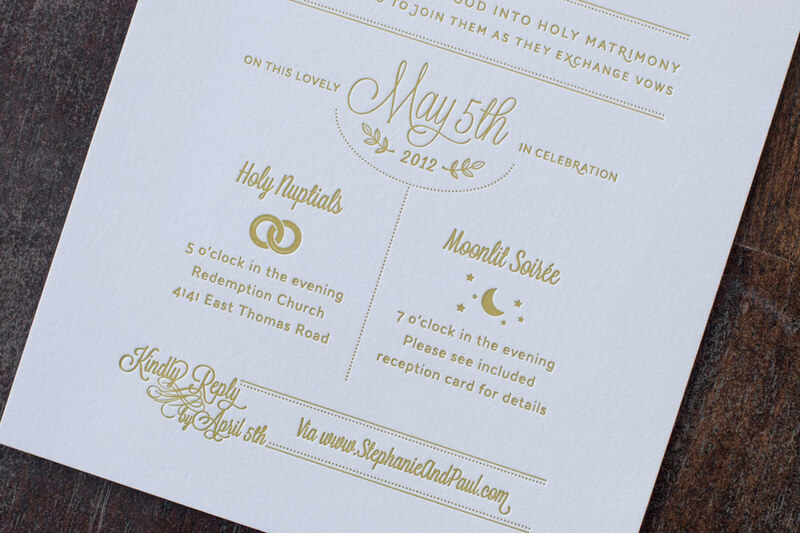 One-color letterpress invitation was printed by Mandate Press. 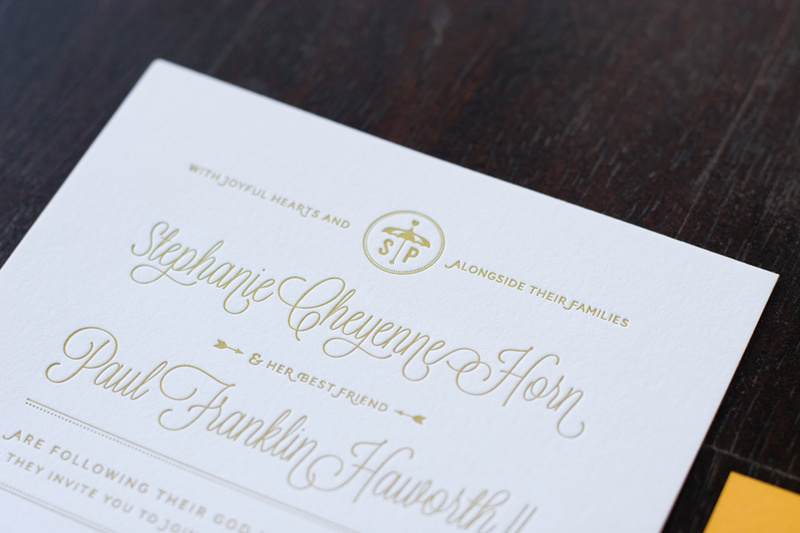 Reception cards were created by hand with a custom stamp. Created to make RSVPing easy and trackable, this one-page website tells the story from beginning to end while incorporating a romantic Parisian style that hints at what is to come (outdoor elements, string lights, and vintage touches). Design an experience – not just the invitation.